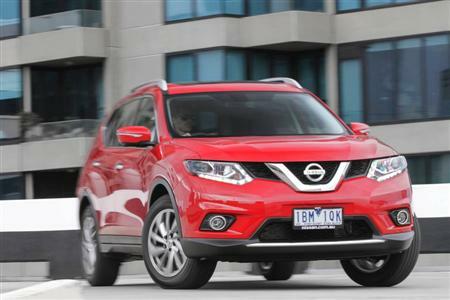 The all-new Nissan X-TRAIL is now on sale in Australia. Muscular, modern and packed with technology, the new Nissan X-TRAIL builds on Nissan’s respected 4x4 heritage and adds world-leading cross-over know-how to deliver an impressive “family-proof” vehicle that re-defines the medium SUV segment. The new X-TRAIL is just as tough and accomplished as the previous generation model but adds cross-over style and efficiency, exciting design, innovative technology and comfort with the option of seven seats. At the same time as enhancing its predecessor’s go-anywhere credibility, the new X-TRAIL takes inspiration from Nissan’s highly successful cross-overs - Qashqai, Juke and Murano - to deliver a highly capable, all weather, modern “family-proof” vehicle. Exciting innovations such as the Divide-N-Hide™ Storage System (five-seat variants only), NissanConnect™- Smart phone Connectivity, Active Ride Control and Rear View Camera are featured in all three grades of the new X-TRAIL model range. Around View® Monitor, satellite navigation, digital radio, fake-leather accented seats and dual-zone climate control are just some of the features included on the ST-L and Ti grades. Innovative features such as a sensor-activated tailgate, Blind Spot Warning (BSW), Moving Object Detection (MOD) and Lane Departure Warning (LDW) are included in the range-leading Ti grade. “The all-new Nissan X-TRAIL is one of this year’s most anticipated new-model releases,” said Richard Emery, Managing Director and CEO of Nissan Australia. This all-new model (code T32) is the first to use the Renault-Nissan Alliance’s new Common Module Platform and is forecast to be available in 190 countries around the world. It is now on sale in Australia. The design brief behind the new X-Trail was to blend the sleek and stylish lines of a modern cross-over with the robust appeal of a typical SUV. In place of the rugged, squared off lines of the previous generation, the new X-Trail has a dynamic appearance. Sculptured muscular lines provide a distinctive silhouette framed by curves and high wheel arches and feature a number of Nissan signature cues such as the ‘boomerang’ rear lights, structured headlights with LED daytime running lamps and the characteristic D-pillar shape. LED headlights – for both high and low beams – and 18-inch alloy wheels also give the new range-leading X-TRAIL Ti an eye-catching look. Compared to the outgoing T31-series X-TRAIL, externally, the all-new X-TRAIL is 1,820mm wide (+30mm, excluding mirrors), 4,640mm long (+5mm) and 1,710mm high (+10mm). The wheelbase is 2,705mm (+75mm), ground clearance is 210mm (-5mm) and the approach and departure angles are 24.9 degrees (4WD)/24.8 degrees (2WD) and 17.2 degrees (4WD)/17.3 degrees (2WD) respectively. Maximum braked towing capacity is 1,500kg. The dimensions of the all-new X-TRAIL are compared with the outgoing model in the table below. The all-new X-TRAIL range is available in seven different paint colours. Inside, features include chrome, geometric metallic and piano black finishes. Fake-leather accented upholstery for the seats and steering wheel are available in the X-TRAIL ST-L (mid-grade) and Ti (high-grade). The seats in the X-TRAIL ST are upholstered in black fabric. The X-TRAIL ST comes fitted with a five-inch LCD QVGA dash display while ST-L and Ti grades are fitted with a seven-inch unit. 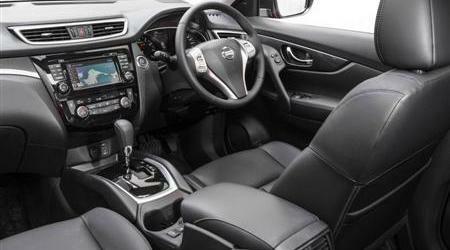 The new Nissan X-TRAIL features “zero-gravity” inspired front seats, the same front seating design used in the Nissan Altima sedan. This clever seating concept provides continuous smallport from the pelvis to the chest, helping to reduce muscular and spinal loads to improve blood flow, thereby reducing fatigue over long periods behind the wheel. The spacious interior has theatre-style seating. Both the 2.5-litre 2WD X-TRAIL ST and ST-L can come fitted with two extra seats in the rear compartment to make room for seven occupants. All X-TRAIL grades (both five- and seven-seat variants) come equipped with Nissan’s innovative EZ Flex™ seating system, which cleverly combines a sliding/reclining second-row bench seat with a 40/20/40 split-fold lay-out. The five-seat variant features an armrest and two cup/bottle holders in this second-row bench seat. In the seven-seat variants, the 50/50 spilt format of the third row of seats offers added cargo flexibility. These seats also recline for added passenger comfort. All model grades are equipped with lower anchors, tethers and ISO-FIX in the second row. Practical touches include rear side doors that open to 80 degrees – far wider than normal – to allow not just easy access but also to ease the loading and unloading of a child’s safety seat. Middle row seat comfort has been improved thanks to extra knee room generated by the longer wheelbase and the new front seats having more heavily sculpted seat backs. And because the second-row bench seat reclines and slides, luggage space is not compromised when the third row of seats are folded flat. Helpful touches abound, such as a large between-the-seats console box. The box itself is large enough to take an iPad® or 10-inch tablet. The versatility pioneered in the previous model X-TRAIL goes further in this new model X-TRAIL thanks to a smart and innovative double load rear cargo floor (only available in five-seat models) that provides flexible storage options. Known as Divide-N-Hide™, this flexible cargo storage system allows the luggage compartment to be configured in 18 different ways, widening the array of objects that can be carried in the new X-TRAIL. Two luggage boards allow the cargo area to be portioned into upper and lower areas in a simple single-handed move. In its top-most position, the board can hold up to 10 kilogrammes of luggage; in its lowest position its maximum capacity is 75kg. This split cargo solution enables the user to store, for example, a stroller and large items below while making a fully usable upper load surface for smaller, lighter items. In addition, access to the luggage area has also been made as easy as possible with remote operation of the power tailgate on the range-leading X-TRAIL Ti. When the X-TRAIL’s remote keyless access Intelligent Key is within the correct proximity of the car, a simple hand swipe of an infra-red sensor located just above the number plate opens the power-operated rear tailgate. It’s the perfect solution for when both hands are carrying shopping. The power-operate tailgate even has a Garage mode, where the driver can set the tailgate’s maximum opening height to avoid it hitting a low-hung garage ceiling or door. A four-cylinder turbo-diesel engine will be available late in the third quarter of this year. Both four-cylinder petrol engines are efficient and responsive. The 2.0-litre unit features Nissan’s DIG (Direct Injection Gasoline) technology and twin variable timing control to deliver strong fuel economy and torque. The 2.0-litre X-TRAIL ST manual consumption rating is 8.2-litres per 100 kilometres traveled and emits 190g of CO2 per kilometre. The 2.5-litre engine is available in all three model grades – ST, ST-L and Ti – and returns great performance and efficiency. Its consumption rating is 7.9l/100km in the 2WD X-TRAIL ST.
All Xtronic-equipped X-TRAIL grades come fitted with an ECO mode button, located on the dashboard in the lower-right area near the steering column. This function maximises fuel economy by controlling the engine and transmission operation to help avoid rapid acceleration by the driver. In ECO mode, the driver receives visual feedback in the Advanced Drive Assist™ Display (situated in front of the driver in the instrument cluster) about the amount of fuel being used relative to the amount of accelerator pedal input, providing guidance as to the most efficient driving technique. The two petrol-powered variants of the new Nissan X-TRAIL have a 60-litre fuel tank and the recommended fuel type for both engines is 91RON unleaded petrol. The 2WD-only 2.0-litre powered X-TRAIL ST uses a smooth-shifting six-speed manual transmission whereas all 2.5-litre variants (available in both 2WD and 4WD) are matched to Nissan’s Next Generation Xtronic CVT with manual mode. This transmission’s broad gear ratio coverage and low-friction design help deliver strong acceleration and fuel economy. The 4WD X-TRAIL comes equipped with Nissan’s advanced ALL MODE 4x4-i system to deliver excellent traction in a variety of driving conditions. Controlled by the driver using a simple centre console-mounted rotary dial, ALL MODE 4x4-i has three settings: 2WD mode, AUTO mode and LOCK mode. In 2WD mode, 100 per cent of the engine’s drive is transferred to the X-TRAIL’s front wheels, making it the most economical mode for normal driving conditions. If the vehicle detects a loss of traction, the 4x4-i system will automatically engage all-wheel drive to assist the driver in these conditions. In AUTO mode, the 4x4-i system continually monitors all four wheels and instantly distributes the ideal amount of torque between them. The LOCK mode permanently engages the drive power to the rear wheels, delivering a 50:50 torque split between the front and rear wheels. The LOCK mode operates at speeds below 40km/h. Above this speed, the system reverts to AUTO mode. Both 2WD and 4WD variants of the X-TRAIL come fitted with Hill Start assist (HSA), which automatically keeps the vehicle’s brakes applied when taking off from an incline to help prevent the driver from rolling backwards when setting off. 4WD-equipped X-TRAIL variants are equipped with Hill Descent Control (HDC), which uses the car’s ABS braking system to control the X-TRAIL’s speed at approximately 7km/h when traversing particularly steep downhill terrain. The all-new X-TRAIL uses a uni-body (monocoque) design and zone body construction with structural front and rear crumple zones for safety. The front suspension is an independent strut design and the rear uses a multi-link set-up, providing excellent handling and ride comfort. All X-TRAIL model grades come fitted with four-wheel ventilated disc brakes, ABS anti-lock braking system, Electronic Brakeforce Distribution (EBD), and Brake Assist (BA). The all-new X-TRAIL uses Electric Power Steering (EPS), helping to reduce fuel consumption by avoiding the need for an engine-driven hydraulic pump. The X-TRAIL uses an EPS logic system which enables high stability and less body motion. Steering effort is automatically varied according to the driving conditions. Three clever innovations feature on the all-new Nissan X-TRAIL, all designed to improve driving performance: Active Ride Control (ARC), Active Engine Brake and Active Trace Control (ATC). Fitted to all X-TRAIL variants, Active Ride Control monitors the road surface to detect undulations which could potentially upset the pitch of the car body and alters the suspension damping to compensate. Active Engine Brake, fitted to all 2.5-litre-powered, CVT-equipped variants, harnesses the power and controllability of the Xtronic transmission to add a degree of engine braking while cornering or when decelerating to a standstill. The benefits are shorter stopping distances, greater braking control and enhanced feel with less pedal effort. 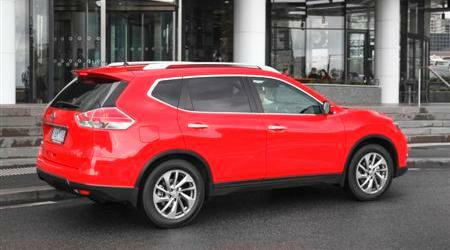 The X-TRAIL also features Active Trace Control (ATC), which applies braking force where necessary when cornering. Fitted to all X-TRAIL variants, it uses on-board sensors to monitor speed, steering angle, throttle opening and braking effort and brakes wheels individually, as required, to reduce understeer and help the driver steer a safer path through bends; it is particularly effective on slippery, wet roads. Two alloy wheel sizes are available on the all-new X-TRAIL range. The X-TRAIL ST, and ST-L are fitted with 17-inch alloy wheels and 225/65 R17 tyres. The range-leading Ti grade is fitted with 18-inch alloy wheels wearing 225/60 R18 tyres. A space-saving temporary spare wheel (steel) is fitted to all model grades. The new X-TRAIL is rich in clever technologies, all of them designed to provide practical benefits to make life easier for the driver and passengers. These include the fully connected latest generation NissanConnect™- smart phone connectivity, information and entertainment system, the Advanced Drive Assist™ Display, and the comprehensive suite of assistance features that make up the X-TRAIL’s Nissan Safety Shield system. Fitted to the ST, ST-L and Ti model grades, NissanConnect™- is one of the foremost examples of Nissan’s engineering innovation. In its latest form, NissanConnect™- has evolved to offer Smart phone connectivity to keep owners connected to the outside world wherever their journey takes them. It is operated through the dashboard-mounted display and integrates Bluetooth® hands-free telephony and audio streaming, Pandora®, and USB connection for interfacing with an iPod® or other similar devices. The NissanConnect™- with navigation (ST-L and Ti model grades) integrates with the X-TRAIL’s Advanced Drive Assist™ Display and uses 3D-effect map views and destination search via Google® on the seven-inch touch screen. NOTE: not all devices may be compatible. The X-TRAIL ST-L and Ti feature Digital Audio Broadcasting (DAB) radio. 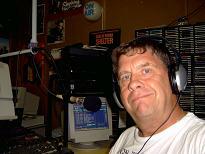 The benefits of DAB include great sound and clarity from improved reception and extensive station choice. DAB can also broadcast on-screen information such as news headlines, weather information and traffic updates. Nissan’s Advanced Drive Assist™ Display (ADAD) helps keep the driver informed while maintaining their focus on the road. The ADAD unit is a five-inch LCD screen situated between the tachometer and speedometer in the X-TRAIL’s instrument cluster. Using the steering wheel-mounted controls, it displays to the driver a number of functions, such as the drive distribution between the front and rear wheels (4WD variants only), trip computer, fuel consumption information and navigation details (when navigation is fitted). All X-TRAIL models grades come fitted with a rear view camera. Situated above the rear number plate, it provides the driver a 130-degree side-to-side view and a 92-degree top-to-bottom view of what is behind the vehicle. The on-screen image provided by the reversing camera includes distance guidelines to assist the driver when manoeuvring the vehicle in reverse. The ST-L and Ti model grades come fitted with Nissan’s innovative Around View® Monitor (AVM), which provides the driver with a 360-degree aerial view of the X-TRAIL and its surrounds using four separate cameras located around the car. This clever technology helps the driver when manoeuvring in tight spaces and can provide an added safety benefit for both the vehicle and pedestrians. Lane Departure Warning (LDW): this system uses the X-TRAIL Ti’s rear camera to provide a warning to the driver when unintended lane departure has occurred. 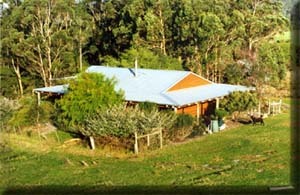 LDW operates above 70km/h. Blind Spot Warning (BSW): this system detects vehicles situated in the driver’s blind spots (left and right) when travelling above 32km/h. Along with an audible chime, BSW gives the driver a visual warning via lights that illuminate in the corresponding rear-vision mirror housing trims. Moving Object Detection (MOD): this system uses the X-TRAIL Ti’s rear camera to help alert the driver to any moving objects at the rear of the vehicle when reversing. This system operates at speeds below 8km/h. The driver is alerted by an on-screen image in the seven-inch display and an audible warning. The all-new Nissan X-TRAIL is available in three model grades: the X-TRAIL ST, ST-L and Ti. The three model grades are summarised according to seating and drive lay out in the table below. ** Maximum recommended drive-away price for vehicle in Victoria including 12 months’ registration, 12 months’ CTP and applicable statutory charges, dealer delivery and administration charges. Price is based on a private owner aged 40 with a good driving record and the vehicle being garaged in Victoria. Prices may differ depending on State purchased, individual personal circumstances and will vary from dealer to dealer. Premium paint available at additional cost. ISOFIX compatible child seats are subject to Australian Standard approval, refer to child restraint manufacturer for more information.